Arsenal will on Monday travel to the Vicarage Road to face Watford and Unai Emery has revealed that they are looking for ways to be consistent away from home. Arsenal will on Monday face Watford away from home and Unai Emery will be hoping that his team gets all the three points from that game because losing would see them go into the sixth position if Chelsea and Manchester United win their matches. Watford have given Arsenal a hard time in the last two years because they even defeated the gunners twice in the Premier League last season, and their captain Troy Deeney making the famous quote saying that the gunners don’t have “’cojones”. Arsenal under Arsene Wenger was often bullied by their opponents away from home and Unai Emery did show signs of fixing that at the start of this season but things have went downhill after their unbeaten run ended at the Saint Mary’s Stadium. Arsenal has this season struggled away from home and their fans will be hoping that their team puts on a better performance than that shown in their 1-0 loss against Everton a week ago. 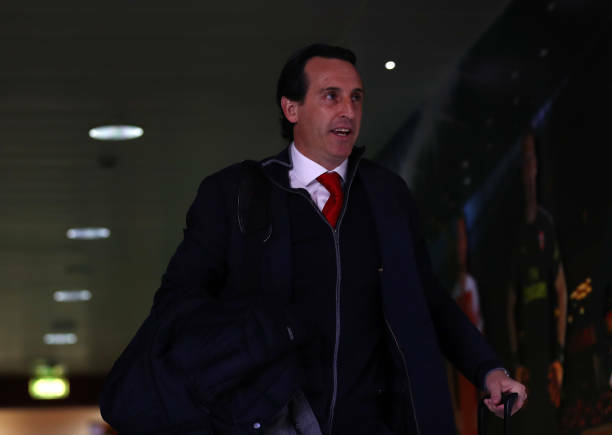 Arsenal head coach Unai Emery is aware of his team’s poor away form and he has said that they have talked in the dressing room on how they will fix their away form since it could cost them a Premier League top four finish. “We were speaking in the dressing room how we can fix our problem, when we have problems.” Unai Emery told Football.London.